Gales Ferry, CT (December 31, 2017) – The New England Street Outlaw Series (NESOS) is poised for another exciting season of spectator drag racing events paired with a car cruise for a unique one of a kind automotive enthusiast event. 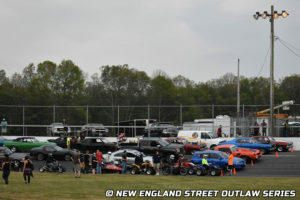 Weekly Friday night events will start Friday, May 18th at New London–Waterford Speedbowl under the name Fast Lane Fridays – Drag Racing & Car Cruise. Fast Lane Fridays at the New London–Waterford Speedbowl offer the areas only car cruise paired with exciting spectator drag racing. These weekly Friday events host three regular classes along with special competition events each night. Fast Lane Fridays will play host to racer favorites and new special events including Twin Eliminators, Pro Tree Nights, Outlaw Money Races and more. Fast Lane Fridays Promoter Mark Caise stated, “We are designing these events to give racers more track time and more competition than ever before with new exciting shootout style races.” In addition to the special weekly events racers will have the opportunity to compete in the Outlaw, Street and Bike divisions for a season long championship battle. Any racers with a safe vehicle are welcome to participate in the on-track action. The entire 2018 Fast Lane Fridays schedule can be found online at www.NEStreetOutlaws.com. Fast Lane Fridays will run under a lightweight rule package to ensure equal competition and allow almost all vehicles and modifications to be eligible. There will be three classes for the 2018 season. The Outlaw Class features cars that are not necessarily completely street legal. Most cars are classic muscle with performance modifications and racing slicks and others are full blown drag cars featuring full roll cages and 600+ horsepower engines. The Street Class features cars that are completely street legal. They may not necessarily be completely showroom stock; but if they can pass emission testing and not have the police need to site them a ticket for excessive noise and/or ‘non-legal components’ they are welcome to race on most DOT approved tires. The Bike Class is where it gets really interesting. This is the broadest of all the classes whether they have two wheels or four, motorcycle or dirt bike, quad, lawn mower, or snowmobile, if you can race it this is the division for you. The Fast Lane Friday events will also have a point system and will award a champion in each class at year’s end. 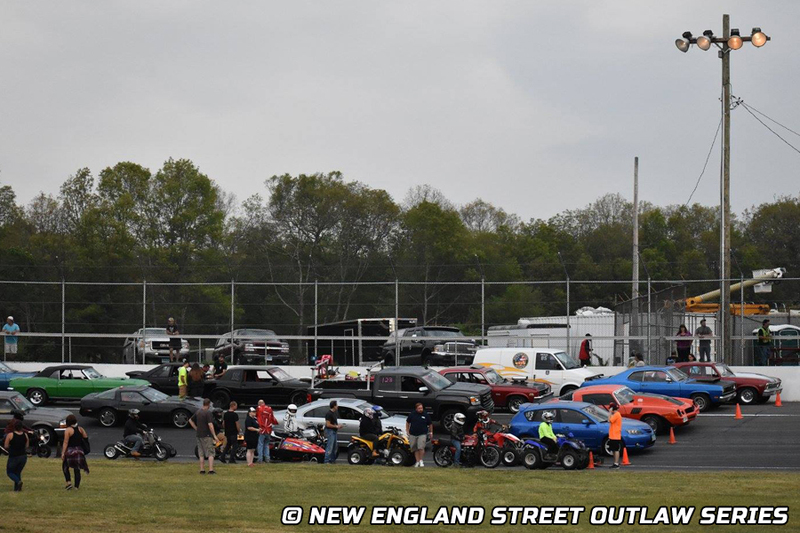 The NESOS team got its start working together in 2014 when Series Promoter Mark Caise teamed up with David Gagnon to oversee the (New London) Waterford Speedbowl Sho & Go Program, a spectator drag racing and car cruise show rolled into one event. David Gagnon will return as Race Director for 2018, he served in this roll previously from 2012-2014 and in 2017. A Fast Lane Fridays competitor meeting will be held March with a date and location to be announced.